Our laboratory can tailor make specific vitamin, mineral, antioxidant and/or amino acid combinations to suit your individual needs. Biomedical treatments taught by Dr Walsh at the Outreach Programs based on Prof. Pfeiffer’s ground breaking work may be used to treat a variety of Mental Health conditions such as learning disabilities, ADD, autism, depression, anxiety and also including chronic fatigue, to name but a few. Typical biochemical imbalances tested for by Biomedical practitioners include Overmethylation, Undermethylation, Pyroluria and zinc/copper ratios. These can all be corrected by using vitamin therapies as a part of an overall biomedical treatment. (1) PRIMERS – are used in the phase 1 Pfeiffer Protocol for the biochemical treatment of patients with Autism Spectrum Disorder (ASD). It is a general supplement designed to re-balance the zinc:copper ratio in the body and to assist in the promotion of metallothionein (MT) proteins. Primers available from us include MT Primer caps, Primer Pyrrole caps, Primer Undermethylating caps, Primer Undermethylating Pyrrole caps, Primer Overmethylating and Primer Overmethylating Pyrrole caps. (2) Pyrrole (KPU) Caps – A range of KPU capsules are available for the treatment of pyroluria with varying doses of Zinc, Pyridoxine, Pyridoxyl-5-phosphate and manganese. Biotin, Vitamin C and other nutrients may also be included if indicated. If you need to locate a doctor trained in Biomedical treatments click here for a list of doctors who have undertaken training at Outreach Programs led by Dr Walsh in vitamin therapies. All Biomedical treatments produced in our laboratory are made from Pharmaceutical grade ingredients (BP or USP grade) in accordance with our strict quality control procedures. All products are gluten, dairy, yeast and soy free. All Biomedical treatments are produced in our purpose built Nutrient Laboratory which is built to GMP standards and ensures no cross contamination will occur with other products produced by our laboratory. Most nutrient combination treatments are available in capsule form. We understand that capsules can be difficult to administer in some patients so we have developed a liposomal transdermal cream range for many products to help overcome this difficulty. 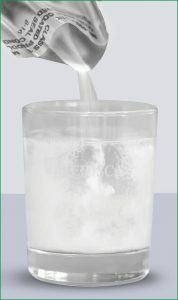 In addition we also can provide flavored effervescent powders which dissolve in water. Alternatively an organics acid urine test and an amino acid profile may be performed to determine any nutritional deficiencies or imbalances. From these results a balanced nutritional supplement is individually formulated to rectify any deficiencies or imbalances. The Organic Acid Test provides a view into the body’s cellular metabolic processes and the efficiency of metabolic function. Identifying metabolic blocks that can be treated nutritionally allows individual tailoring of interventions that maximize patient responses and lead to improved patient outcomes. (1) Vitamins – Vit A (as retinyl palmitate or Beta carotene),Vit B1, B2 (riboflavin and riboflavin-5-phosphate), B3 (as niacin and niacinamide), B5, B6 (as pyridoxine or pyridoxyl-5-phosphate), B12 (methylcobalamin, hydroxycobalamin or cyanocobalamin), Vit C (as ascorbic acid or Magnesium ascorbate), Vit D3, Vit E (as natural d-alpha tocopherol succinate or mixed tocopherols), Vit H (biotin), Vit K2 & K3, folic acid, folinic acid, methylfolate (MTHF), choline and inositol. (2) Minerals – Calcium (as citrate and carbonate), Magnesium (as glycinate or citrate), Zinc picolinate or citrate, Manganese gluconate, Iron fumerate and picolinate, Iodine (as iodine or potassium iodide), Selenium (as selenium picolonate), chromium picolinate, potassium (as citrate, gluconate or acetate) and vandium (as Vanadyl sulfate). (3) Antioxidants – Lipoic Acid, glutathione, selenium. (4) Amino Acids – methionine, histidine, serine, arginine, tyrosine, aspartic acid, Valine, leucine, lysine, GABA, 5-hydroxytryptophan and ornithine. A combination of any of these nutrients at the appropriate doses can be tailor made to suit your individual requirements or alternatively many of these can be readily obtained at therapeutic doses – refer to our online shop for details. Our laboratory also individually compounds a range of vitamin and mineral injections which are available on prescription. Contact us for details. In order to arrange a organics acid test and tailor made nutrient combination call us to arrange a consultation or alternatively to obtain more information you can contact us.